Gulet Charter in the Cyclades. The Cyclades get their name from the shape they create in the Aegean Sea, a circle around the sacred island of Delos. Greek Mythology says that Poseidon, the God of the Sea was angry with nymphs whom he then turned into islands. They are fairly barren but to compensate there are lovely sandy beaches with the blue and white houses, standing out in the bright summer sunshine. Add the warm blue sea and it is difficult to imagine a better setting. It would be wrong to think that there are no fertile parts and indeed, the streams on some of the islands ensure that the land is never arid. Other than Delos, the best known of the Cyclades are probably Mykonos and Santorini. The Cyclades lie north of Bodrum and the Dodecanes and there are more than 200 islands within the Group. Many of them are the peaks of submerged mountains though Milos and Santorini are volcanic islands. The majority of them are uninhabited including Delos which was once a very important trading port back in ancient times. They are mentioned in Greek history and mythology since the 4th and 5th Century BC. Naxos is the largest of the Islands and the most fertile. It has a population of 20,000, quite a contrast to those with few people living on them all year round. Naxos was the home of Zeus and the place where Theseus left Ariadne after he had slain the Minotaur. Mount Zeus is the landmark visible from anywhere on the island; it stands at over 1,000m. The clouds that gather at its summit bring the rain that farmers need to grow their crops. Delos, Greek mythology says, was where Apollo and Artemis were born. Its UNESCO World Heritage status is based upon its importance as a site of Greco-Roman architecture. Extensive excavation work has been done over the years. It has suffered a troubled past with its friendship with Rome a reason why enemies sacked it in ancient times while more recently, its various conquerors from the Venetians and the Ottomans having a negative effect on its priceless historical remains. 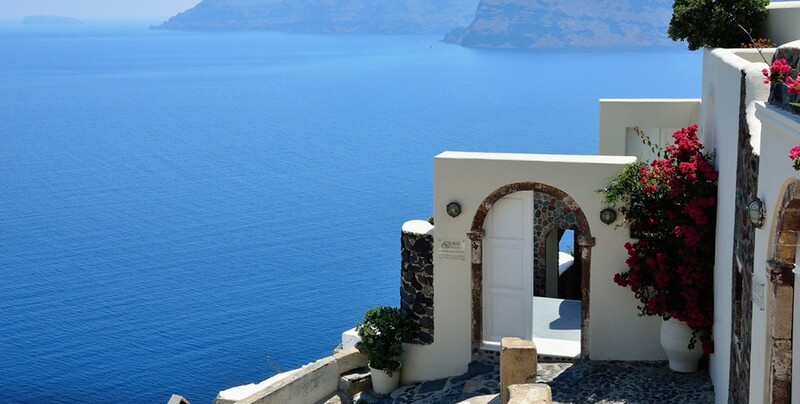 Santorini is actually a series of islands, formed by volcanic activity, the last 3,600 years ago. Santorini is regarded as a romantic ‘’getaway’’ and that sits extremely well with a luxury gulet charter. The caldera appears on photographs taken by everyone of its visitors. Few sunsets are better than the one visitors see each evening during the hot months of summer. The views from the highest point at 340m across the island and the Aegean Sea are stunning while time visiting the many small villages and archaeological sites of Santorini make this island one to include on any bespoke itinerary on a gulet charter in the Cyclades.